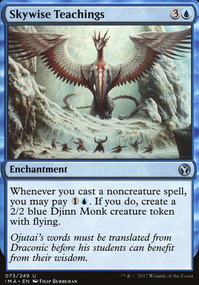 As mentioned, the highly specific mana cost is one reason. And its lack of evasion (ie, flying, menace) and trample means it can be chump blocked readily. 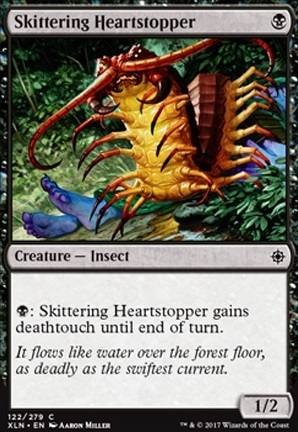 There are plenty of cheap deathtouch creatures (such as Skittering Heartstopper that will trade with it and plentiful removal to kill it. That being said, I have had it out turns 3 and attacked with trample on it by turn 4... It all depends on what you play with it. 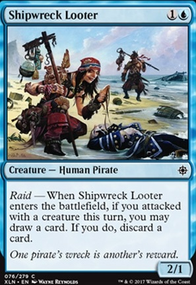 It seems that you maybe a new player or new to standard but your deck has too many singletons.You want that your deck is as consistent as possible and by first you can choose what you want your deck to do. 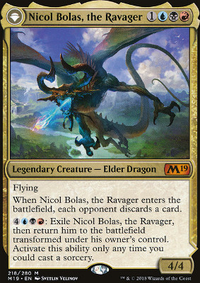 Example your deck is BR (rakdos) so it is usually really aggressive so you are seeking cards that cost max 4 mana (With few exceptions). 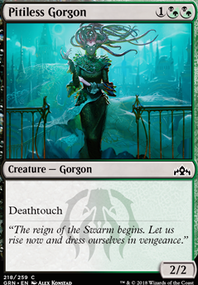 I presume you're running the Skittering Heartstopper because of deathtouch. Whilst it's more mana expensive, Gifted Aetherborn is a better fit for your deck. It's one of the strongest vampires in the format period, and will trigger Mavren Fein, Dusk Apostle where the heartstopper doesn't. It's also a great target for your Duskborne Skymarcher due to the lifelink. 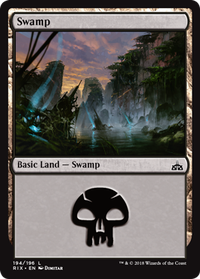 You may want to have a look at the volume of creatures you're playing and the numbers of each. I'd say that you should be concentrating on some as four-ofs to help with variance. Playing one and two of each will mean that your deck will play very differently each time you play it. Plus, I think it will allow you to bring the average curve down from 2.58. 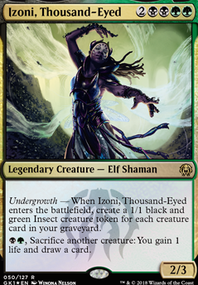 Adanto Vanguard, Duskborne Skymarcher, mavren fein probably want to be four-ofs in your deck? I love Kambal, Consul of Allocation and depending on your local meta he may a rock in the main board. But if not, he may be someone you want to have in the SB for 'spell' heavy match-ups. All in all, I really like the shell - gotta love Vampires! 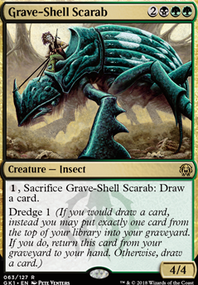 But playing more four-ofs and taking some of the other creatures out will probably help make the deck more consistent. Oh, and I can't speak highly enough of Gifted Aetherborn though he does suffer with the rampant removal in Standard currently. Which is why Adanto Vanguard is so good!